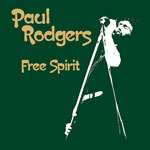 Share the post "Quick plays: PAUL RODGERS, ATOMIC ROOSTER"
This account of Paul Rodgers revisiting his Free-form past was recorded at London’s Royal Albert Hall in May 2017 . It was the culmination of his UK tour where he explored the more familiar material amongst the less so, competently backed by Deborah Bonham’s band. (Deborah appears briefly on the DVD/Bluray version with his daughter Jasmine). The setlist may seem predictable to most, but what’s also predictable is Rodgers’ still-superb vocal delivery. This 3-CD set is economical to say the least. Focusing on the “classic” early seventies Crane/DuCann/Hammond line-up, and later period, there is little here to really educate casual punters. This sort of broad brush overview might interest those who wish to get a flavour of a legendary band but Atomic Rooster demand greater detail and were much more than the sum of their hit singles. The CD insert is minimalist and there is no source information. We see that this is licensed from Angel Air, so we know that the content has been previously available on that label but doesn’t contain official studio albums. Merely live, outtakes or alternate versions. Further research reveals that this collection is largely derived from Angel Air’s ‘The First 10 Explosive Years’ (1999) and ‘Rarities’ (2000) both originally gleaned from the late John Du Cann’s personal tape collection. 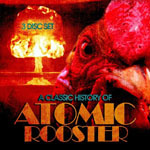 This entry was posted in ALBUM REVIEWS, All Posts, Quick Plays and tagged A Classic History Of, album, Atomic Rooster, blues rock, classic rock, compilation, Deborah Bonham, Free, Free Spirit, John DuCann, Paul Hammond, Paul Rodgers, prog, Progressive Rock, review, Vincent Crane. Bookmark the permalink.